DUAL USE- With two options of how to set up your lights will leave you with limitless possibilities. Simply use the wall mount attachment to attach to any hard surface or the ground stake to add lighting to your path at night. FROSTED GLOBE DESIGN- The frosted globe design is not only designed to look amazing it also provides soft glow accent light. The soft light will perfectly light up any pathway at night. SOLAR LED LIGHTS- The lights run on a solar power panel which is hidden from plain view! 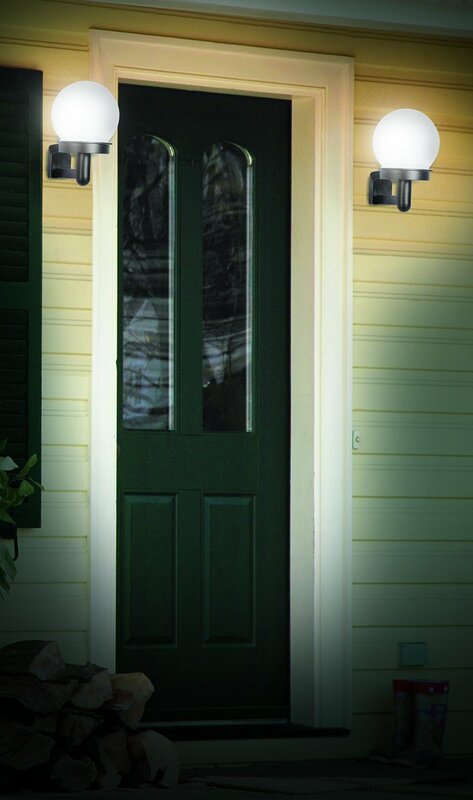 KEEP THE OUTDOORS LIT- With the dual use capability brighten up all your pathways and doorways around your house. Never trip over a step, ball, or toy ever again! The capability to install these lights in any manner you see fit will allow you to perfectly find the right position for your globe lights. Light up your pathways and your doorways to keep tripping down to a minimum. Use these lights so you will never trip over your kids' toys ever again! 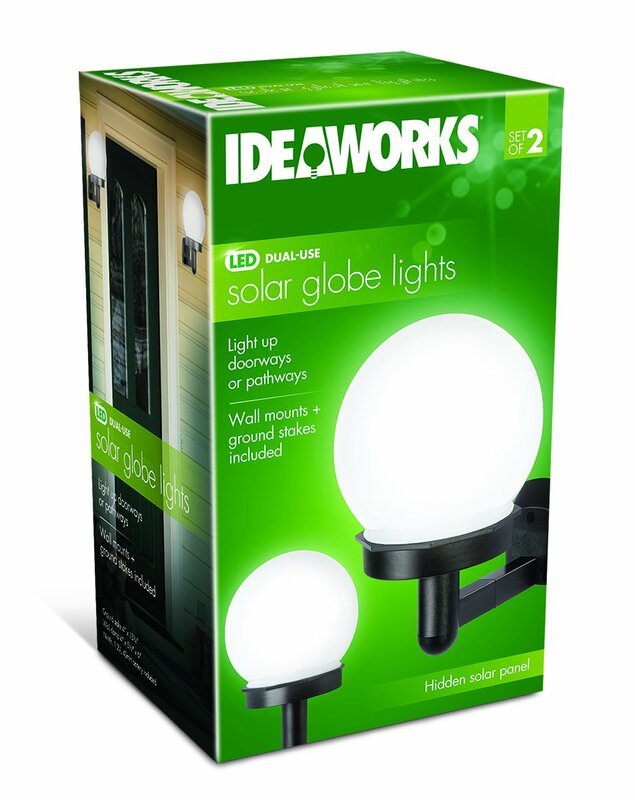 The globe design is not only beautiful but helps provide the perfect soft white light. This soft white light will perfectly light up and outdoor need.